More Medals for Cumbernauld AAC athletes! It was a great day for our club at the U13 and U20 Scottish National Championships, well done to all our athletes who took part! Lewis – another Gold in the 400m with a fantastic time of 48.37! 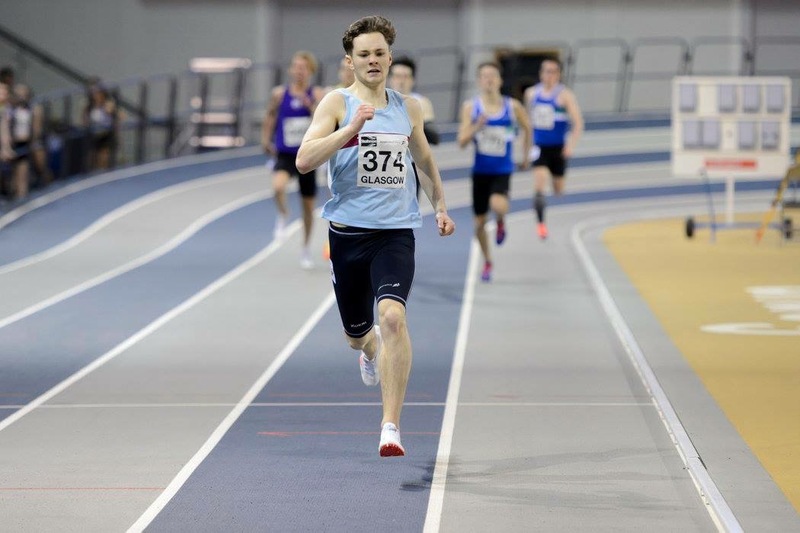 Hamish – came a fantastic 5th in his heat in his first year of u20s, with a time of 2:06.28. Beth – ran a great 60m hurdles heat in her first year in u20s with a PB of 9.64 to make it to the final. Lucy – came a fantastic 4th in the 800m in her first year of u20s, with a great time of 2:17.87. Adam – a fantastic PB of 8.82 saw Adam reach the final of the 60m, a fantastic achievement when there were 34 people in the event! 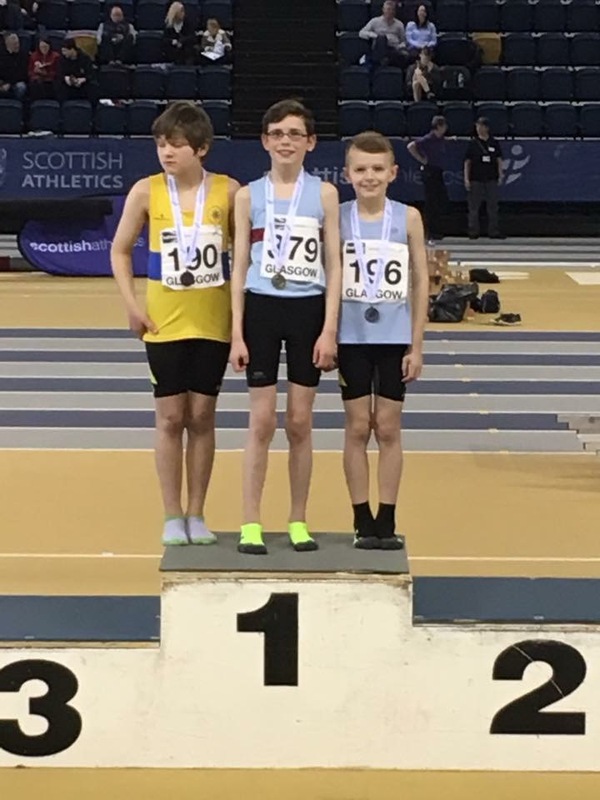 Euan – A fantastic Gold medal in the 60H for Euan with a PB of 10.74! (no heat time as it was a straight final.) Euan also jumped 4.00 in the Long Jump. Ethan – Began the day with a semi-final place in the 60m with times of 9.03 (heat) and 9.13 (5th place in semi). He then won a great Silver in the 60m hurdles with a time of 11.13! (Straight final). Finally, he finished the day with a time of 31.71 in his 200m heat. Sam – Ran a great PB in the 60m of 8.97 to make it to the semi-final where he came 6th with a time of 9.10. He then ran another PB of 28.89 in the heat of the 200m to qualify for the semi-final, and then came 5th in the semi-final with a time of 31.37.